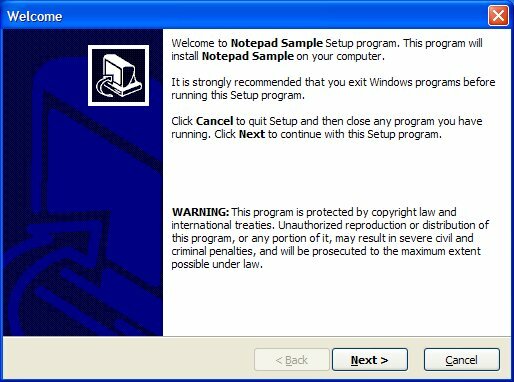 The Notepad sample will show you how to create the most simple setup using Qsetup Installation Suite. 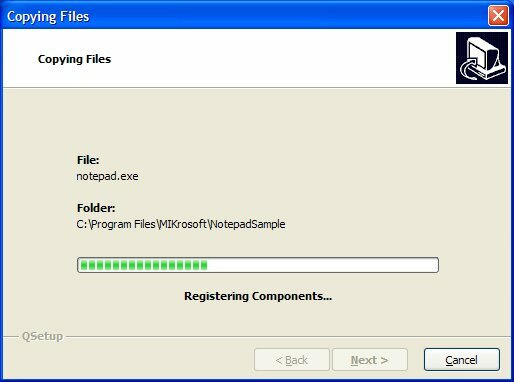 This sample setup will install only one file "NOTEPAD.EXE", which can normally be found in the Windows directory (C:\WINDOWS). 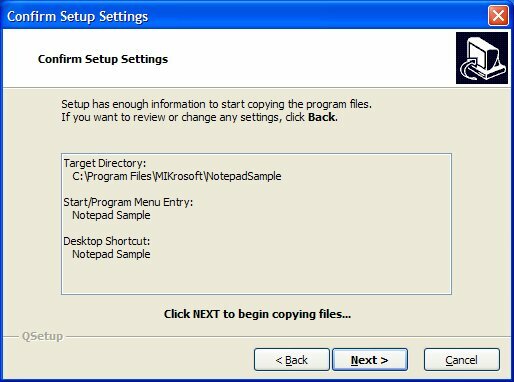 When creating this sample we have added or modified information only where it is absolutly necessary, all other information is based on QSetup defaults. 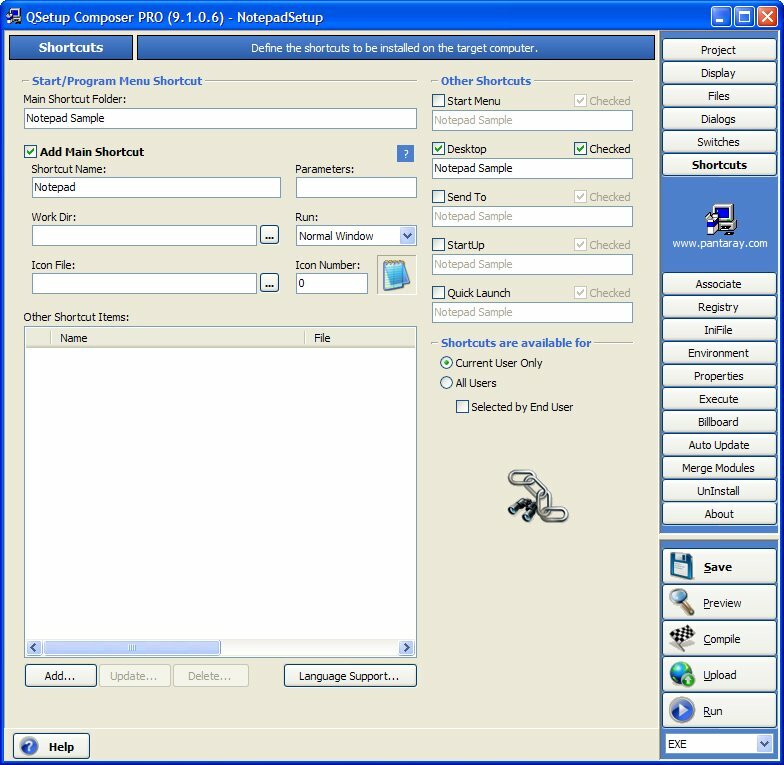 We did not check the Laguage Support option so that our setup will only display the default english text during setup. 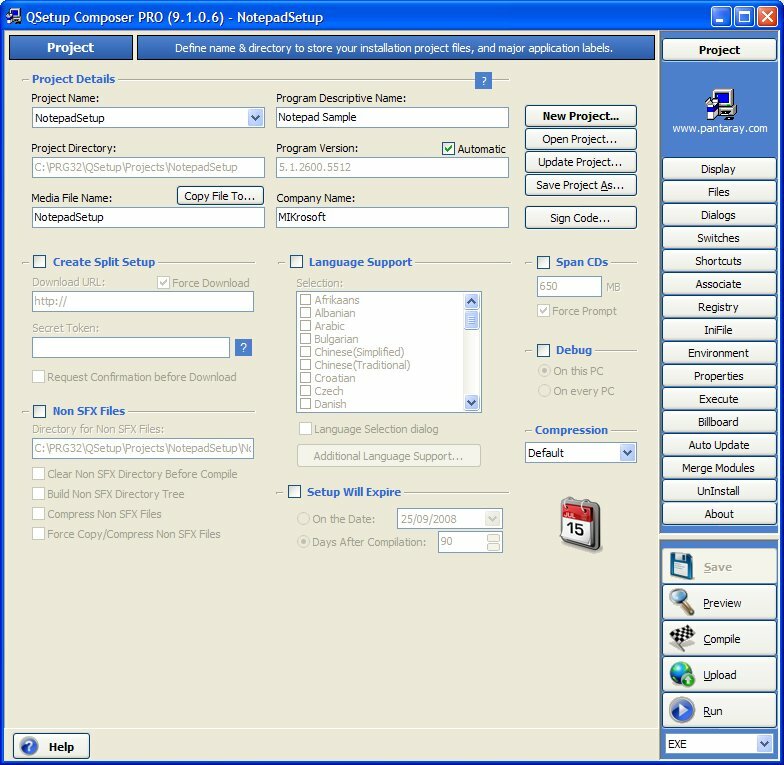 The text MIKrosoft in the Application Folder and Common Folder was added automatically from the definition of the Company Name field in the Project Page. 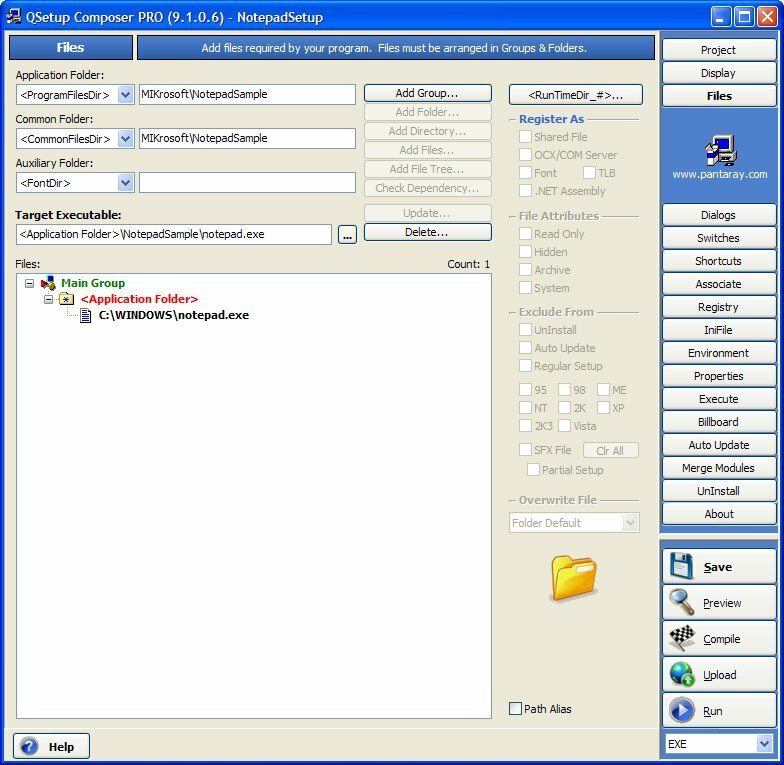 An alternative arrangement is displayed in the next image, both arrangements will provide the same result when the program is actually installed on the target machine. 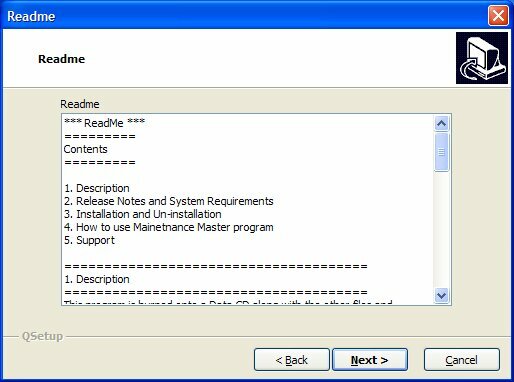 In this page we select what dialogs the end user will encounter during setup. 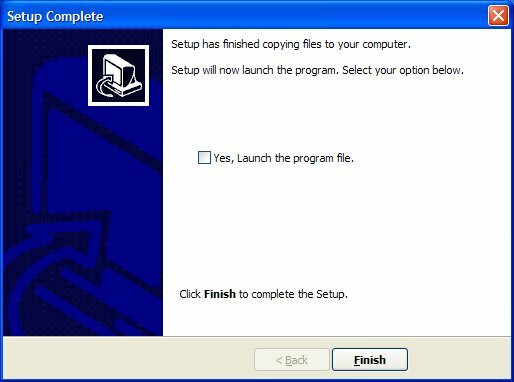 Out of the 12 dialogs that QSetup offers we use only 8 - the default ones. On this page we must also select the proper LICENSE and README files. 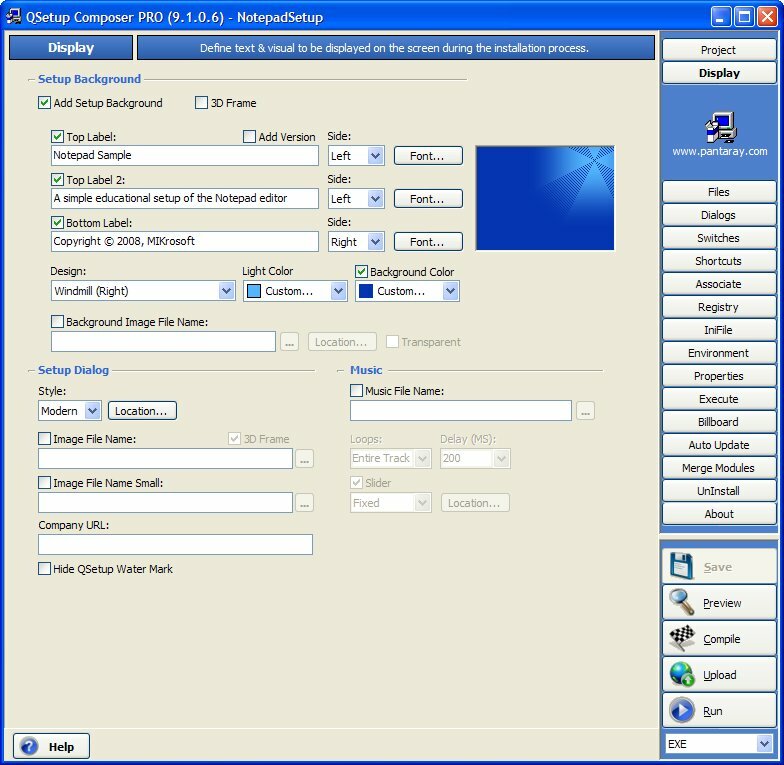 This page is left as is - only the default options are selected. 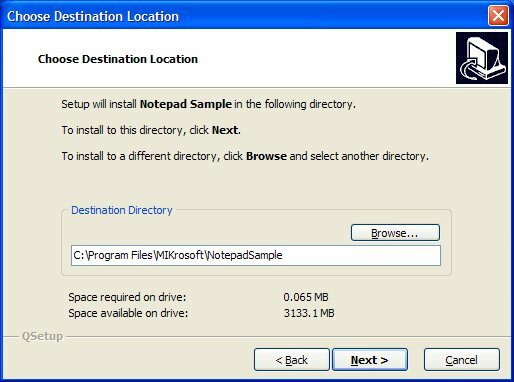 In this page we define the various shortcuts that Notepad Setup will install on the target machine. 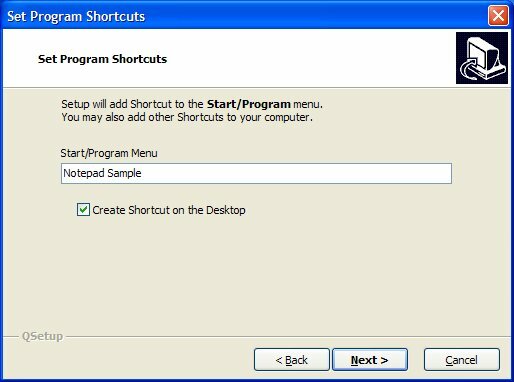 Beside the default Start Menu shortcut we also checked the Desktop shortcut.